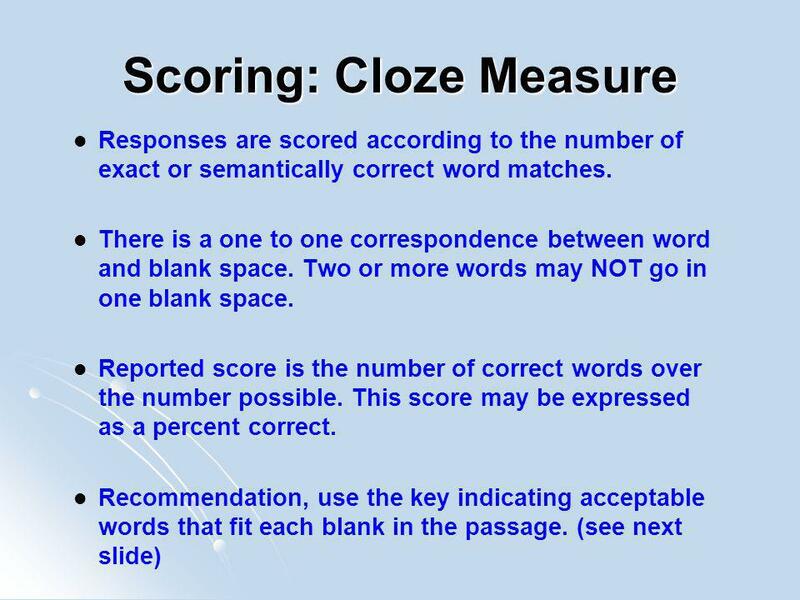 Cloze Measure What is Measured? Comprehension We are only able to infer what others comprehend All measures of comprehension are indirect Students read. 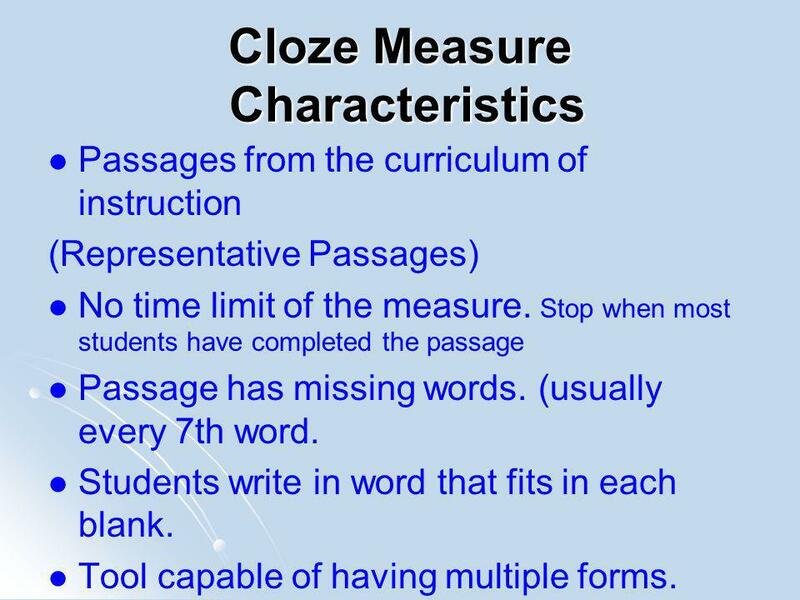 2 Cloze Measure Characteristics Passages from the curriculum of instruction (Representative Passages) No time limit of the measure. Stop when most students have completed the passage Passage has missing words. (usually every 7th word. 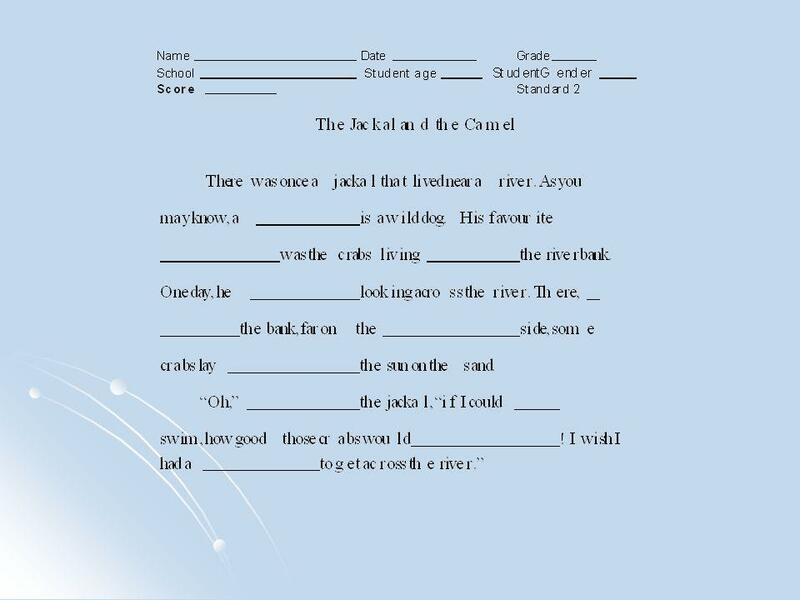 Students write in word that fits in each blank. Tool capable of having multiple forms. 4 Sample: Cloze Measure Uncle Ben lives on a large farm in the country. He rears many animals there. He horses, cows, goats, sheep and pigs. Ben is always busy. He has so to do, caring for his animals. 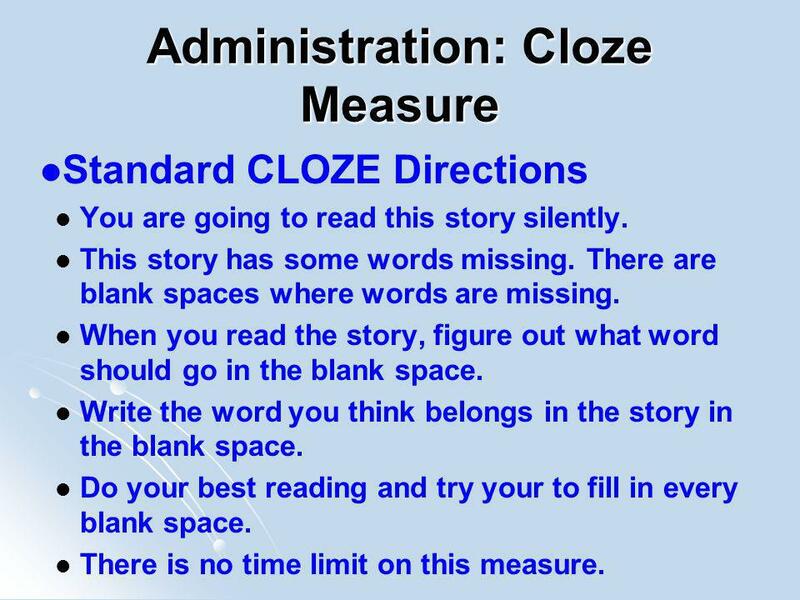 5 Administration: Cloze Measure Standard CLOZE Directions You are going to read this story silently. This story has some words missing. There are blank spaces where words are missing. 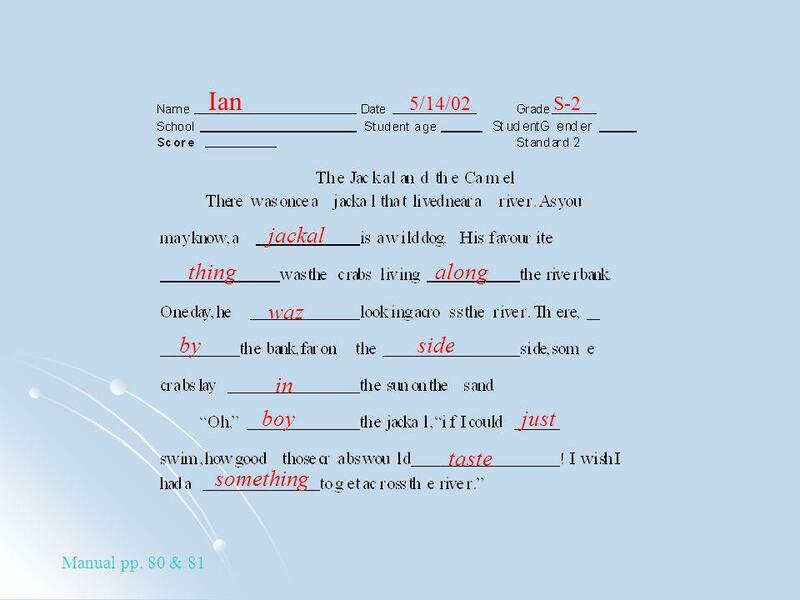 When you read the story, figure out what word should go in the blank space. Write the word you think belongs in the story in the blank space. Do your best reading and try your to fill in every blank space. There is no time limit on this measure. 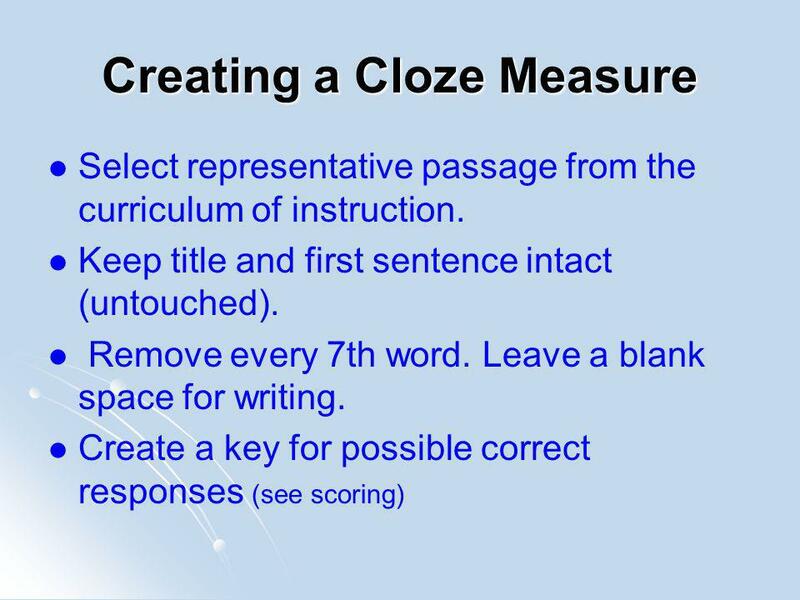 7 Sample: Cloze Measure Key Uncle Ben lives on a large farm in the country. He rears many animals there. He rears, grows, has, raises, horses, cows, goats, sheep and pigs. Uncle,That Ben is always busy. He has so much to do, caring for his animals. 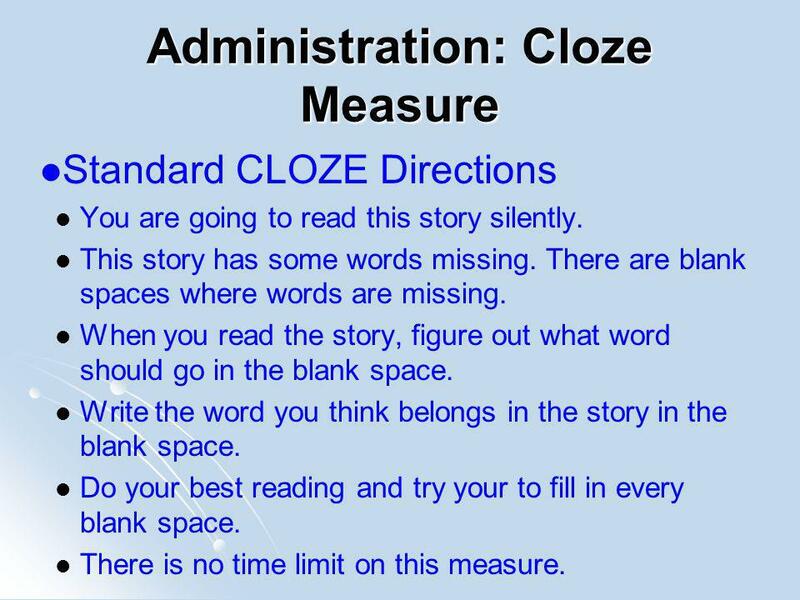 8 Administration: Cloze Measure Standard CLOZE Directions You are going to read this story silently. This story has some words missing. There are blank spaces where words are missing. When you read the story, figure out what word should go in the blank space. Write the word you think belongs in the story in the blank space. Do your best reading and try your to fill in every blank space. There is no time limit on this measure. 12 Cloze in the US These measures have been in use since the 1950s. Another comprehension procedure - maze also used and recommended by some as easier -selection response. 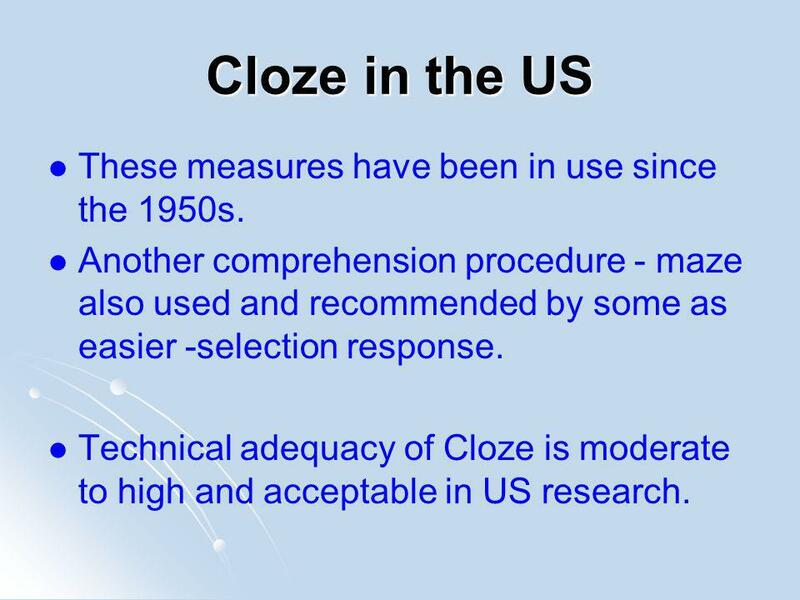 Technical adequacy of Cloze is moderate to high and acceptable in US research. 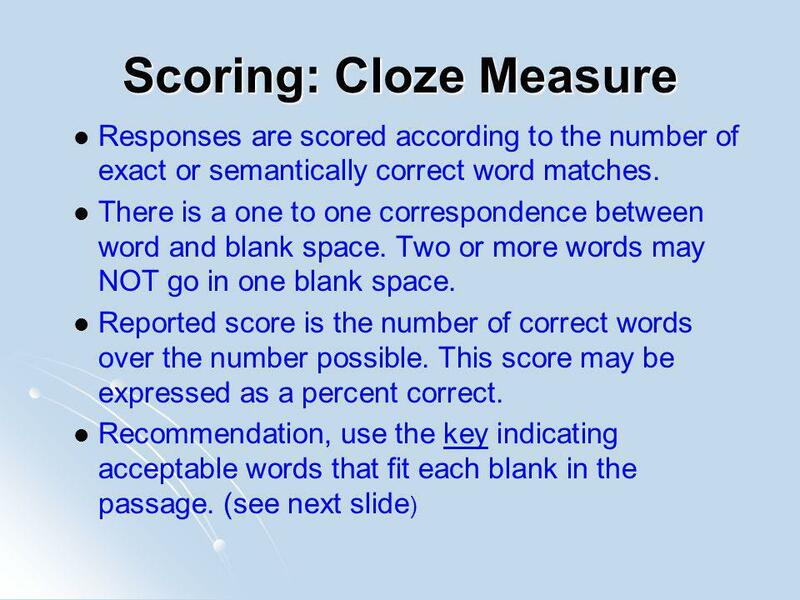 Download ppt "Cloze Measure What is Measured? Comprehension We are only able to infer what others comprehend All measures of comprehension are indirect Students read." Progress Monitoring with Curriculum Based Measurement Tracey Hall CAST Oral Reading Fluency. 5th Intensive Course on Soil Micromorphology Naples th - 14th September Image Analysis Lecture 5 Thresholding/Segmentation. Cloze Measure. 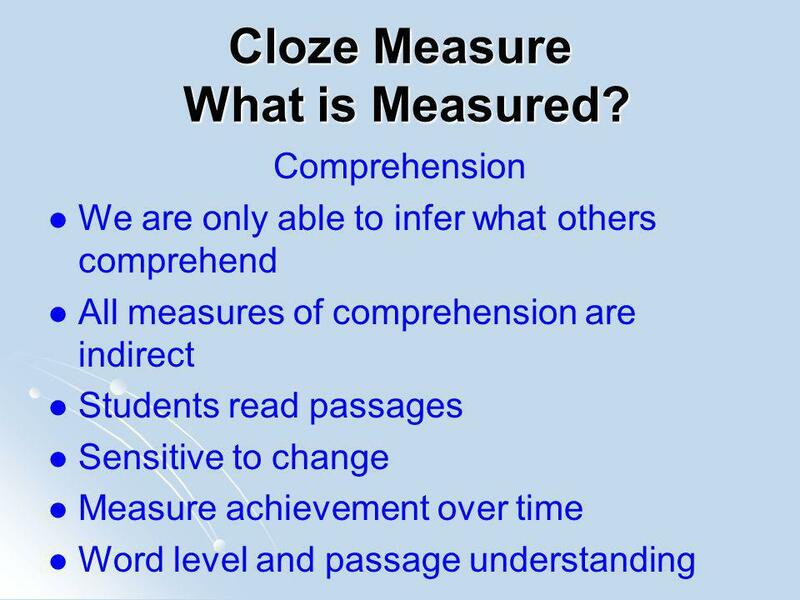 Cloze Measure What is Measured? Comprehension We are only able to infer what others comprehend All measures of comprehension are indirect. 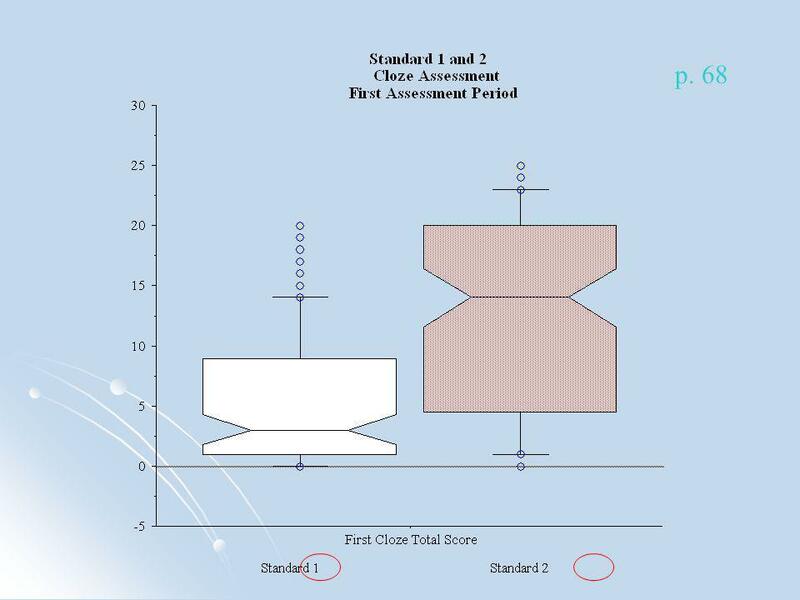 Administration and Scoring of READING-MAZE (R-MAZE) for Use in General Outcome Measurement Power Point Authored by Jillyan Kennedy Based on Administration. Independence Module X NJ APA Teacher Training - Module X 1. Scoring Dimensions of the APA Rubric Complexity Module VIII NJ APA Teacher Training - Module VIII. This PowerPoint in its entirety is for. Reading Comprehension and Math Computation Screening and Progress Monitoring Assessments for Secondary Students Carrie Urshel, Ph.D., School Psychologist. Wide Range Achievement Test WRAT4 Authors: Gary S. Wilkinson, PhD Gary J. Robertson, PhD. Verb Mood Project Make a 9-slide themed power point demonstrating your knowledge of verb moods. (Slide #1 should be a title slide.) The theme should be. Item Response Theory. 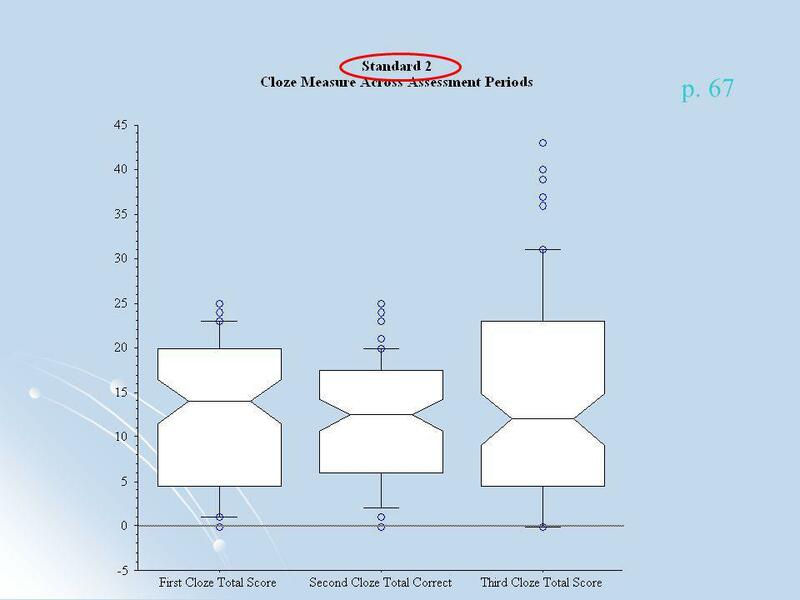 Shortcomings of Classical True Score Model Sample dependence Limitation to the specific test situation. Dependence on the parallel. Lesson Eleven Cloze. 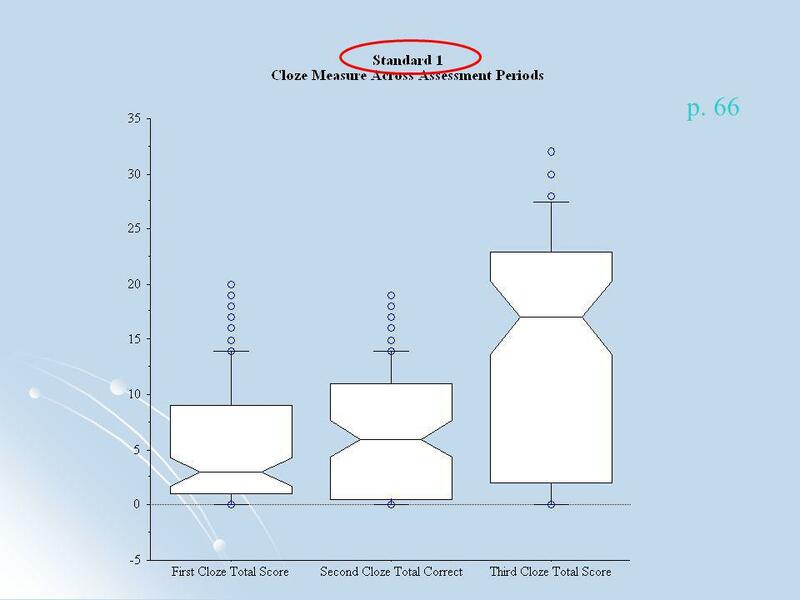 Yun-Pi Yuan 2 Contents  What is cloze procedure? 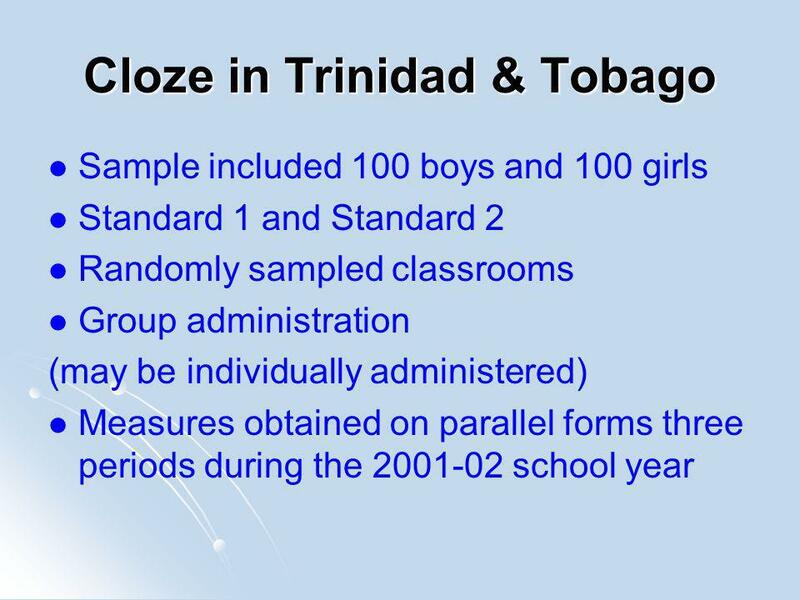 What is cloze procedure?  A cloze passage A cloze passage  Two kinds of cloze. Farming is important for our life. Farm animals produce many things for our life. In preschool farm animals theme children will learn how farm animals. 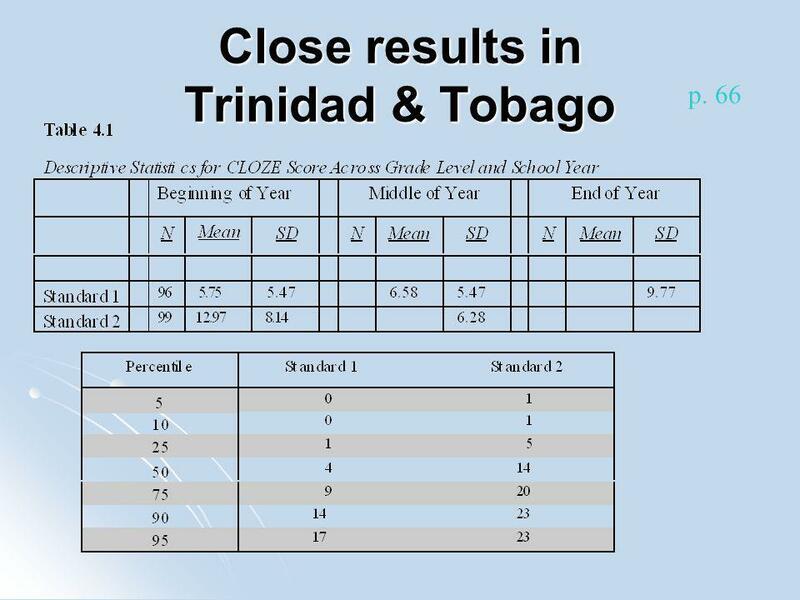 1 Focusing on the FCAT/FCAT 2.0 Test-Taking Strategies Grades 3-5 Nancy E. Brito, Department of Assessment , PX47521. Assessment Case Study Checklist RDG 3320  Table of contents accurately reflects all contents All appropriate materials present. Introduction: students.